Sandra Brenneman Harrah was born and raised in Charleston, West Virginia. She was admitted to the West Virginia State Bar in 1996. She is also admitted to practice before the U.S. District Court, Southern District of West Virginia (1996) and Northern District of West Virginia (2000). Mrs. Harrah primarily handles cases involving severe personal injury, or death, arising from negligence, motor vehicle collisions, or defective products. By nature, these claims usually involve many insurance issues, including insurance company abuse and misconduct. Mrs. Harrah attended undergraduate school at Alderson-Broaddus College, where she obtained a Bachelor of Arts, in Political Science, and a Bachelor of Science, in Business Administration, in 1993. She also attended West Virginia University College of Law and obtained her Doctor of Jurisprudence in 1996. 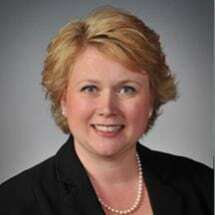 Currently, Mrs. Harrah is a member of the West Virginia State Bar; West Virginia Association for Justice; and the American Association for Justice. Mrs. Harrah has also served as the Parliamentarian of the Board of the Brain Injury Association of West Virginia from 2000-2005. Mrs. Harrah has also been named in the Who's Who in America. Mrs. Harrah resides in Charleston, West Virginia, with her husband, Aaron Harrah, and daughters Kelsey and Lauren Harrah. Mrs. Harrah's interests include scuba-diving, cycling, and alpine skiing.